Classes of membership: Individual £10. Family £15. Publications: Newsletter published - 3 issues a year and occasional books. Archive collection: Available most Fridays from November to April at the Killhope Museum (Contact secretary). Artefact collection: Killhope Museum opening hours (see Killhope Lead Mining Museum). 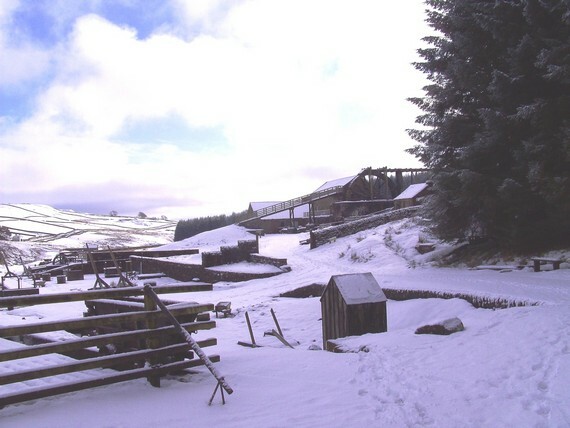 Current projects:	 Various restoration / consolidation projects at the Killhope Lead Mining Centre (See Museums Section). On-going archiving during the Winter months. The principal aim of the Friends is to assist in restoration work at Killhope. This involves research as well as physical work, and members have free access to the site. Exploration, surveying and research are also carried on at some other sites in the Northern Pennines. 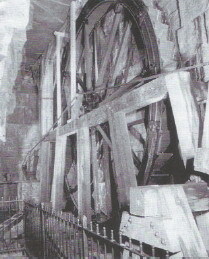 The photograph shows a working underground waterwheel. It demonstrates how mine water was pumped out of deeper workings. It has been constructed in a special chamber in a section of the mine that is visited on the Killhope underground tour.